The Mars Hotel | Kwan Yin is a bold and poignant evening of dance and live music that explores motifs of love and compassion. Rising choreographer and established dancer Ziyian Kwan showcases a full evening of her own work for the first time. The Mars Hotel unravels the word ‘love’ through a series of humorous, irreverent and delightful vignettes. The piece, which responds to author P.W. Bridgman’s flash fiction of the same title, premiered at the 2015 Dancing on the Edge Festival to rave response and sold out houses. Performed by dancers Ziyian Kwan and Noam Gagnon, The Mars Hotel features a live performance by the band Handmade Blade featuring stellar musicians Peggy Lee, JP Carter and Aram Bajakian. Juxtaposing this energetic ensemble piece and completing the evening program is the premiere of Kwan Yin, a contemplative work that draws from Buddhist thought to reflect on the compassion between a parent and child. Intercultural and inter-generational, Kwan Yin is also created and danced by Ziyian Kwan, who will be joined by her 77 year old father, Lihuen Kwan in his first-ever dance performance. They will be accompanied by Peggy Lee on cello. 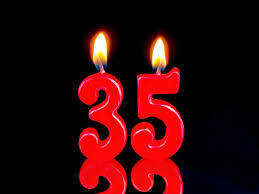 CELEBRATE THE FIREHALL ARTS CENTRE’S 35TH BIRTHDAY! Following the performance on Saturday February 25th, join us to celebrate 35 years of diverse, award-winning programming with cake, bubbly & good cheer! COME TO OUR BIRTHDAY PARTY! Has the Firehall had a positive impact on your life, but you can’t make the party? CONSIDER DONATING – $35 IN HONOUR OF OUR MILESTONE BIRTHDAY! Student/senior, U30 & CADA rates not applicable for Sat Feb 25th 8pm performance.